FastMail is an email service offering paid email accounts for individuals and organizations. 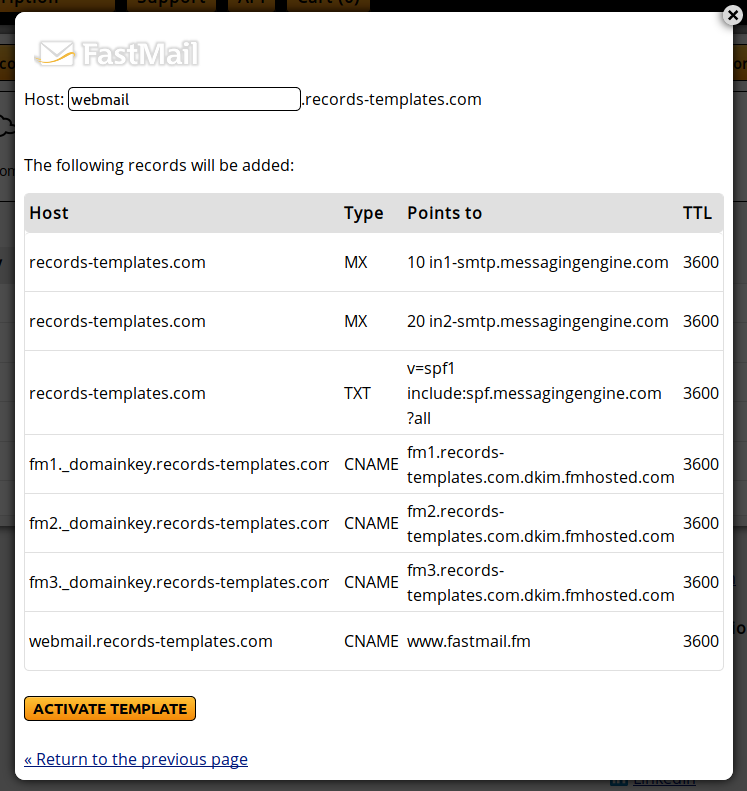 One of the easiest ways to use our services and FastMail is using our Records Templates. They allow you to create the necessary records in your Master DNS Zone. From the orange boxes, click on "FastMail".